This account is temporarily suspended for rule violations. The suspension period ends on Mar 18 '20 at 18:52. 44 Do we consider "Ubuntu on Windows 10" the same as an official Ubuntu flavour? Do we support it? To what extent? 31 Why is moving someone else's code output in a pastebin considered destructive? 30 Should I disable my AdBlocker on Ask Ubuntu? 75 If "bash <file>" works, why is "source <file>" throwing an error? 62 Why does argv include the program name? 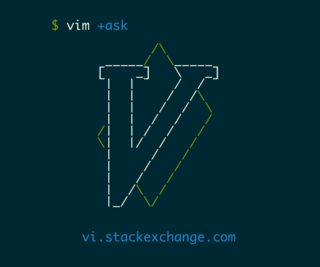 60 How do I install a plugin in Vim/vi? 56 Is there an easy way to close a scratch buffer/preview window? 55 What is the difference between the vim plugin managers? 53 How is uniq not unique enough that there is also uniq --unique?